"Time to read and re-read another [GellerPowerful Radio] book. I love what [Valerie] has to say." 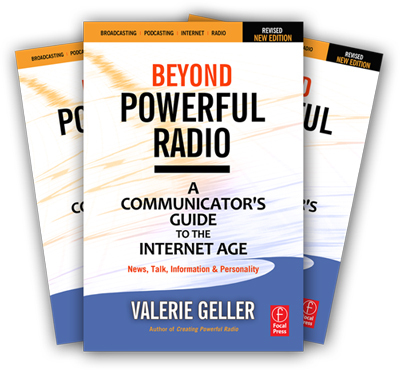 "I just sent copies (of "Beyond Powerful Radio") to all of our PD's across the Country! Another great book Val...thank-you!" "I've just been nominated for Speech Broadcaster of the Year for (UK) the Sony Radio Awards - up against best of the nationals. It's the Beyond Powerful Radio methods that got me here. "This book is to broadcasters, or anyone who communicates for a living, as the "JOY OF COOKING" is for those who cook!" GROW YOUR AUDIENCE - Increase your ratings! Work with LifeStage Demographics: Know your audience and how they listen. PROGRAMMING - Build exciting programming - even on dull news days - with proven techniques to guide programmers and talent to the next level of performance. MULTI-PLATFORM PRESENTATION - No longer "just radio..." Learn techniques to work effectively using internet radio, social media, You Tube, and more to deliver content, promote and grow your audience. NEWS - Write & deliver powerful news. Learn multiple version and interview techniques and much more. CITIZEN JOURNALISM - Interactive media means involving the public. Learn the best and most effective and credible ways to use your audience for new and original content. PERSONALITY - Identify winning talent. Develop strong air personalities. Learn to manage high ego talent and motivate your staff to do their best. TALK - Secrets to improve your show. Learn powerful radio interview techniques and ways to make the talk win big. POWERFUL STORYTELLING - There are NO boring stories, only BORING storytellers. Break down the walls between news and entertainment radio. Creative methods to easily write and deliver complex, detailed stories or issues using the multi-version method, learn techniques to move up to the next level as a powerful storyteller! PROMOTIONS - Learn methods to spread the word about your station and write powerful copy for more effective promos and commercials. SALES & COMMERCIALS - Learn proven techniques to "get the buy" then go on to write good copy FAST. FUNDRAISING - Methods to use the airwaves to raise money for charity, good causes, emergencies and raising money to stay on-air. AIRCHECKING - Find and develop talent. A comprehensive step-by-step guide to show prep and effective airchecking. 1. Creating Powerful Content - No Longer "Just Radio"
2. Are you a Generator or a Reactor? 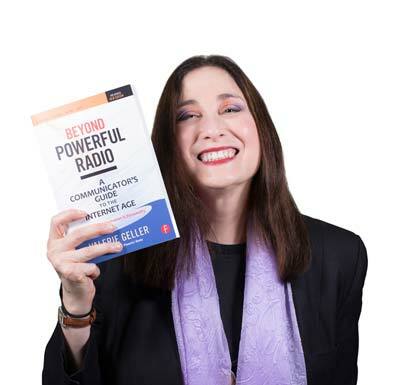 To order your copy of BEYOND POWERFUL RADIO, CLICK HERE. 4. Creating Powerful Content - No Longer "Just Radio"
5. Are you a Generator or a Reactor? 9. Performance & Formatics: Now that You're On the Air? 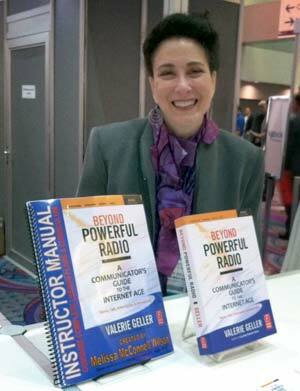 Valerie Geller is an internationally acclaimed broadcast consultant working with stations that emphasize news, talk, information and personality radio. MEET THE AUTHOR! "BEYOND POWERFUL RADIO" SOLD OUT AT THE NAB BOOKSTORE. 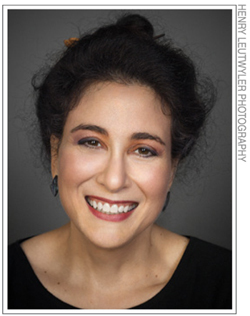 Part I - Valerie Geller Talks with Mark Ramsey. * How do you create powerful radio via compelling personality? * How do you avoid being boring? * What are listeners really interested in? * What are the most common mistakes the talent makes? * What's the first thing an on-air talent should do to improve?